Eighty-three per cent of people doubt the effectiveness of speed cameras because they think drivers only slow down when they pass a device before putting their foot down again. There also remains a wide held belief that the cameras are there to raise money with 57% of British adults seeing them as revenue generators. And 50% of people believe they do not effectively discourage motorists from offending. Men and older members of the public are those who are most likely to hold negative views towards automated enforcement in general. More than half of people (53%) say there is now a speed camera within ten minutes’ drive of their homes, with Londoners most likely to say there is one close by. The findings come from a survey carried out for the RAC Foundation by Ipsos MORI. The participants were 2,203 members of the Ipsos MORI online panel aged between 16 and 75. 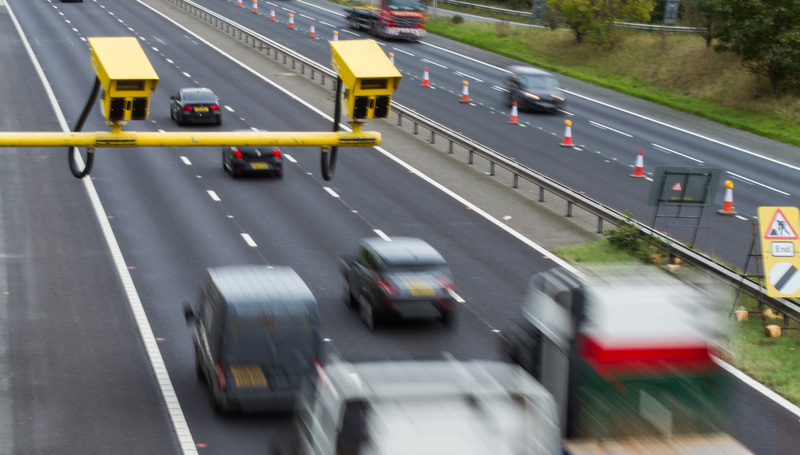 Despite concerns about the effectiveness of speed cameras the survey also reveals that there is support for automated road traffic enforcement if it is used for the right reasons. Seventy per cent of people back automated enforcement – be it through the use of fixed speed cameras, average speed cameras, mobile speed cameras, bus lane cameras, red light cameras or box junction cameras – if it leads to a decline in death and injury on the roads. Almost as many people (66%) support the use of technology, such as speed cameras, if it frees up more time for police to deal with other offences. The key to increasing public confidence in automated enforcement could be through greater transparency. More than half (56%) of people believe there would be greater confidence in automated enforcement if there was data published about it, while 54% thought an annual review should be published to increase acceptability. “This survey reveals that we are broadly tolerant of living in a surveillance society with two thirds of those questioned agreeing that camera-based monitoring is more of a force for good in society than for bad. “But when it comes to monitoring of behaviour on the roads we continue to have a complex relationship with cameras. “There remains a suspicion amongst many that the rationale for some cameras is to raise revenue rather than cut congestion or make our roads safer. Previous research by the RAC Foundation found that in 2016, 2.2 million speeding offences were detected in England and Wales. In 2017, 1.2 million drivers attended a speed awareness course. Fieldwork for the survey took place between 16 March and 20 March 2018 and was conducted through Ipsos MORI’s online omnibus service, I-Omnibus. The final results were derived from 2,203 participants of the Ipsos MORI online panel aged between 16 and 75.